bagpipe news Archives - Lochearn Summer Camp for Girls - Our Girls Sleepaway Camp Blog! This entry was posted in Newsletter and tagged bagpipe news, camp for girls, Camp Lochearn, girls summer camps, New England Summer Camp, Vermont girls camp, Vermont Summer Camp, Vermont summer camp for girls on March 6, 2017 by Lochearn Admin. To celebrate our campers who have been coming to Lochearn for five years or more, the Five-Year Club took a trip to Quechee Gorge! The day was spent hiking and playing in the Gorge’s refreshing waters. Congratulations to our 2015 Five-Year Club inductees! 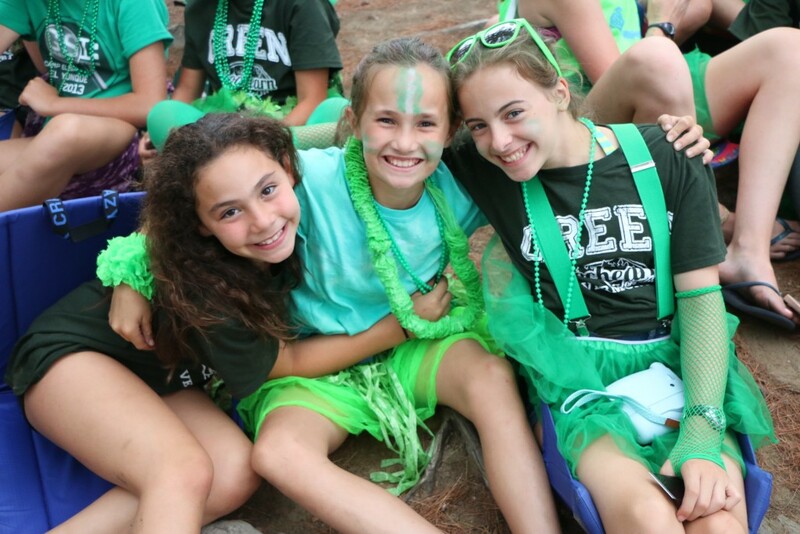 The Blue and Green Teams both did an amazing job putting their all into the Blue-Green Competitions during the summer of 2015. Blue and Green has been a Lochearn tradition since 1916. When looking back at the last 99 years, both teams have won almost exactly the same number of times. The magic of Lochearn keeps the Blue-Green competitions exciting, but friendly, summer after summer. This year we celebrated the new “Marble Pull” Cup. First-year campers pull a blue or green marble from this cup, which then determines their color for the rest of their years at Lochearn, and beyond. No matter what happens in the competition, our campers always reunite as kind and caring Lassies! For a full list of all 2015 Five Year Club Inductees and Activity, LC and Spirit Award winners please check out the most current issue of The Bagpipe. 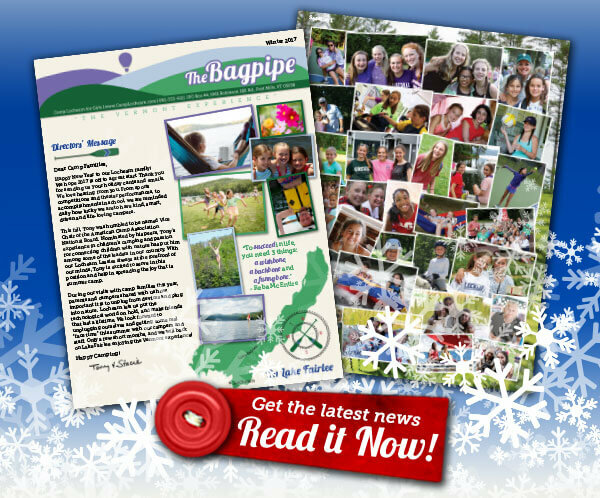 This entry was posted in Camp News and tagged all-girls summer camp, bagpipe news, blue green competition, camp awards, camp for girls, five-year club, lochearn, summer camp, vermont on October 23, 2015 by Lochearn Admin.